Dalai Lama Paper Doll collection includes Nobel Peace Prize, formal ankle-length robes of brocaded silk and a fur-trimmed long coat, as well as shirts and prayer shawls of traditonal saffron and maroon. The influential spiritual leader of Tibetan Buddhism, the Dalai Lama is also Tibet's head of state and its most important political leader. He was awarded the Nobel Peace Prize in 1989. Outfits include formal ankle-length robes of brocaded silk and a fur-trimmed long coat, as well as shirts and prayer shawls of traditonal saffron and maroon. 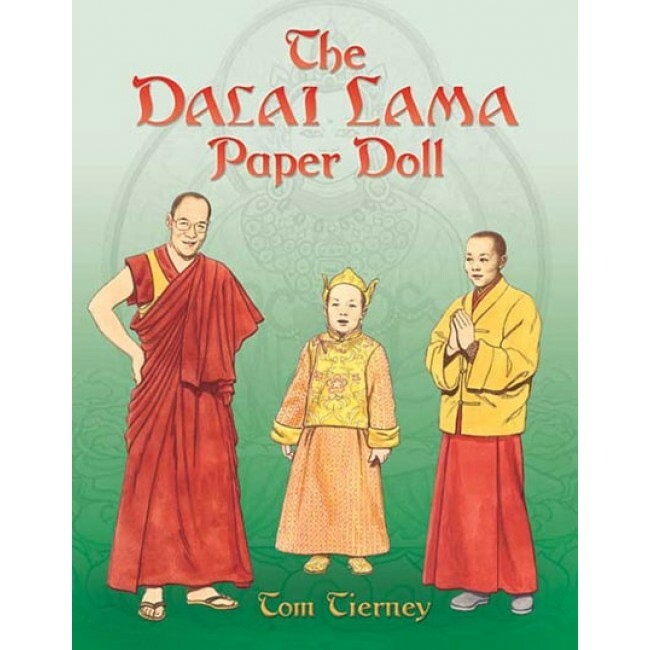 Admirers of the spiritual leader--and anyone intrigued by Tibetan culture--will prize this authentically detailed Paper Doll collection.